It’s HEEEERE! It’s FINALLY HERE! Our Nutritional Workshops are now set up and ready to change some lives! Whose going to be joining them with us?? If you missed my last post breaking down the difference between the two, check it out HERE. Here is more explanation on what I now have to offer regarding nutrition training and how it can benefit you..
Want to check out DETAILS on my hormonal balance workshop?? Here you go- “Who Hijacked My Hormones” Training Course. I’m SO excited about all these amazing opportunities for each of you to feel and be your absolute BEST! You know where to reach me if you have questions! Ready to get started with your own journey? Complete the assessment form below and I’ll create a custom program for you! Sorry…it’s been FOREVER since I did a blog post! I’m hoping to me much more regular with them! I post daily on my Instagram & FB so hopefully you’re staying caught up with my latest tips and inspirations there! I HAD to update you on what’s going on in the nutritional department over here because it is HUGE! The average child is fed 34 TABLESPOONS of sugar A DAY from hidden sugars. 1 in 3 kids are considered overweight and are high risk for developing diabetes. As a country, we do more diets than anyone, yet we’re the most overweight. This is one reason why I am SO ECSTATIC that the health & fitness company I work with is making a massive shift. 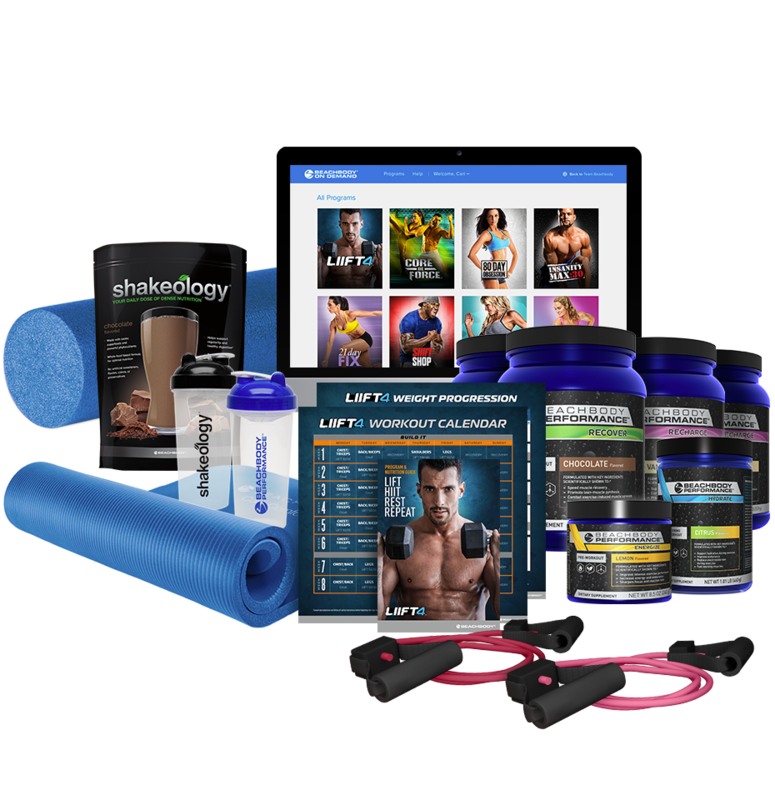 Beachbody has been known for the past 20 years for providing amazingly effective fitness programs that are easy to access from anywhere. Hundreds of thousands of lives have been changed because of powerful programs such as p90X, 21 Day Fix, 80 Day Obsession, Insanity, T-25, PiYo, and SO MANY MORE! THIS WEEK though…the company made a shift. Our CEO, Carl Daikeler is insanely passionate about ending the trend of obesity and lifestyle disease. He saw the need for easy and healthy nutrition. Beachbody has offered meal plans and nutritional support for years, but it was always secondary to the fitness program. As of YESTERDAY, March 4th, the game changed. There are now TWO powerful nutritional COURSES that have taken years of development by scientists, nutritionists, dieticians and professionals to better educate the public on HOW to reach their health & fitness goals with an easy to follow and effective approach to healthy eating. We are LEADING with the nutrition. I can’t tell you how EXCITED I am about this you guys! This is where the majority of people struggle! Not only do we have 2 nutritional courses for participants to learn through with a plethora of recipes, meal plans and helpful resources, but there is also a Master Trainer certification program for coaches passionate about learning how to best help their clients. You can become a CERTIFIED coach in nutrition! How incredible is that?! March 18th, our team will be launching TWO powerful nutritional training courses to coach you through your nutritional approach of choice! You will have daily accountability, tips, tricks, check off lists and we will walk you through exactly what you need to do to MASTER your healthy nutritional habits! All of this FOR FREE! All you need to do is invest in the program and tools! Interested in participating?? Read below to see which program you best identify with and complete the application below. So, what are the two programs we now have to offer? In this program you’ll learn how to say YES to your favorite foods, but the right way. You won’t have a list of foods you can and can’t eat. You’ll learn how to plate your meals and snacks to help you be successful in our health & weight loss goals. You’ll learn tips and tricks to navigate several social settings including BBQ’s, birthday parties, and even vacation. Creator and Registered Dietician & Nutritionist, Ilana Muhlstein created this program first as a clinical trial at UCLA. She lost 100lbs herself with this approach. If you need a mindset shift when it comes to food, then this program is for you! Wants to be told exactly how many portions of which foods to eat each day. Wants to understand more about cravings and why we are more likely to binge at night. Doesn’t want to eliminate food groups, but wants to learn a balanced approach to healthy weight loss and maintenance. Is looking to meal prep and prepare healthy meals but doesn’t know how and wants to learn. Autumn Calabrese rocked the fitness world 5-years ago when she created 21-Day Fix workouts along with the portion fix container system. She is BACK and with a POWERFUL program for those needing more structure in their life. The Ultimate Portion Fix System is a deeper dive into portion fix, why she created it, the science behind the macronutrient breakdown, how to break sugar addiction, how to break through plateaus, and why people can eat salads all day long and still not see results. With this program, you are placed into a meal plan category based on your body weight. You’re then told how many portions of each food group to eat each day and you fill those containers with your favorite foods. Looking for a more CUSTOM approach? I’d love to put together my best recommendations for you and give you the best deal possible! Complete my health assessment form below and I’ll get back to you with the best approach for you to be successful! A full body strategy questionnaire and workup including digestion, energy, hormones, skin, drive, respiratory, circulation, mental/emotional state, stress, a full health history, supplement evaluation and any other pertinent topics the client would like to talk about. At the end of the session, the client will receive a video recording of our appointment as well as an email full of recommendations and notes from our time together. These are done over video conference and work for anyone around the world as long as they have internet. They can also be done over the phone if that is preferred. Do you know someone who loves working out and going to the gym? Chances are they’d LOVE this gift! They’re most likely using a preworkout and a BCAA’s muscle recovery formula already that they don’t realize is hazardous to their health. OR they’re not using these supplements but would love to! This option is called the performance stack. It includes our plant-based preworkout and Clean BCAA’s muscle recovery formula. Both have been involved in clinical trials that have proven their powerful effects for athletes of all levels. Check it out here. It’s on SAAAALE and now in new Energize Packets! This is a little tricky to gift someone because if you want it to be a surprise, you’ll need to purchase it under your email and then switch it to theirs come Christmas time. BUT it’s a great idea! 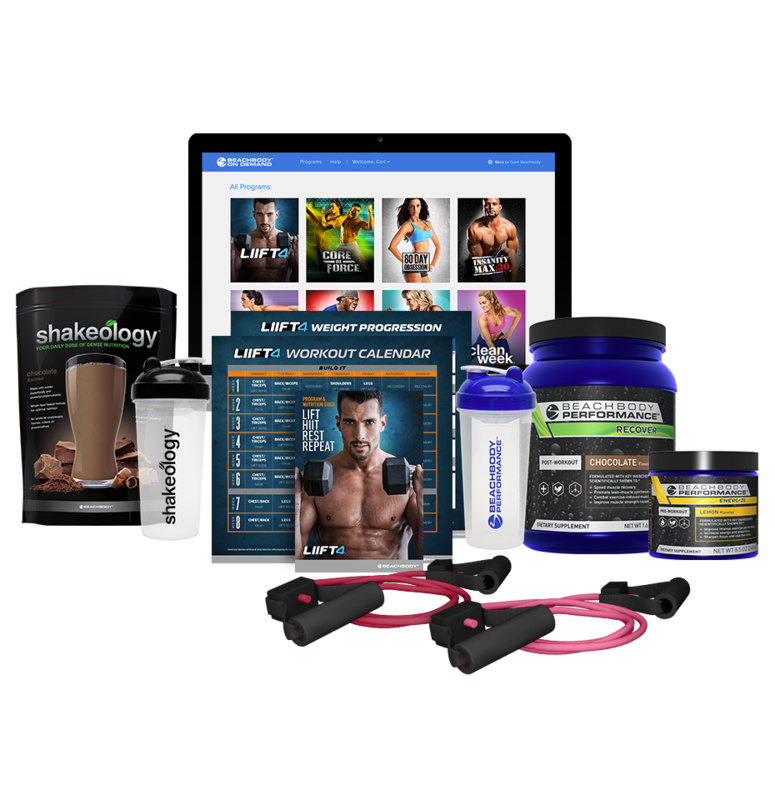 This is considered an online gym or the “Netflix” of fitness and nutrition! Learn more here. OMGeeeeee…these are delicious!!!! Gluten-free, certified Low Glycemic, Jessica approved ingredients! (Which is a very hard certification mind you!). They come in flavors chocolate peanutbutter or chocolate cherry almond. BOTH are amazing. Nutritional highlights: 150 calories, 10 gm clean protein, 4-5 gm organic cane sugar, 4 gm fiber. THAT’S AMAZING! Check out all purchasing options here! This would be the ULTIMATE gift! It comes with VIP access to our newest program that was just released and starts January 14th! 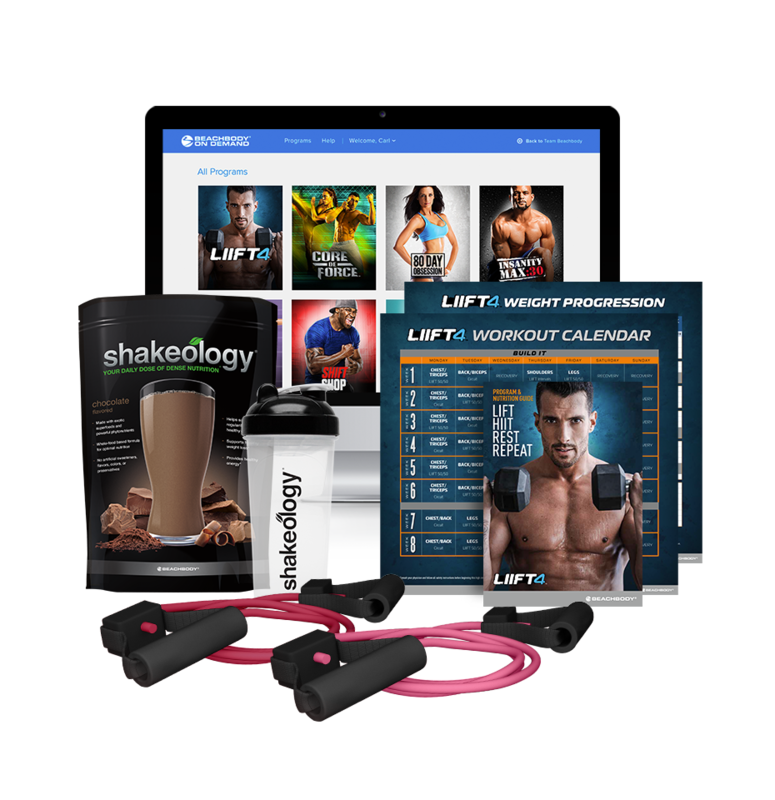 20 minute workouts, powerful and easy to follow nutrition program, Shakeology, one full year of Beachbody on Demand, a Beachbody power step to do the program with, and my coaching the whole way through as well as membership to our premium training virtual groups and competitive challenges launching in January! To gift this to a friend or family member, you would input their information but your email again to keep it a surprise. If you have any questions, shoot me an email here. CLICK HERE TO PURCHASE THE BEST GIFT EVERRRR! Have a very Merry Christmas and an incredible holiday season with your family! Thank you for supporting me, my business, my mission and my vision to make this world a better place! Get Ripped in Just 4 Days a Week of Workouts! How many of you don’t exercise regularly because you don’t have time? I know that’s absolutely been a factor for me in the past! And even now! I have a 2.5 yr old and a 5 month old who depend on me for survival on top of working my booty off to keep up with my health & business coaching business. I TRULY can’t do a workout longer than 30 minutes, and I barely make it through that without having to feed someone or change a dirty diaper. This is why I’m SOOOOO FREAKING EXCITED about the release of our newest fitness program- LIIFT4. That’s right!!! In this program you only work out 4 days, 30 minutes a day for 8 weeks. And THESE ARE THE RESULTS people are getting!!!! Check out these challenge pack deals! DELUX CHALLENGE PACK- SAVE OVER $200!! Here’s the deal…I’m all about creating a custom plan for YOU. YOU are unique. You have experiences, struggles, hardships, goals, all unique to yourself, and that requires a unique approach. Fill out the online application below to see if this program would be a good fit for you! I’ve opened registration for our July bootcamp now! !